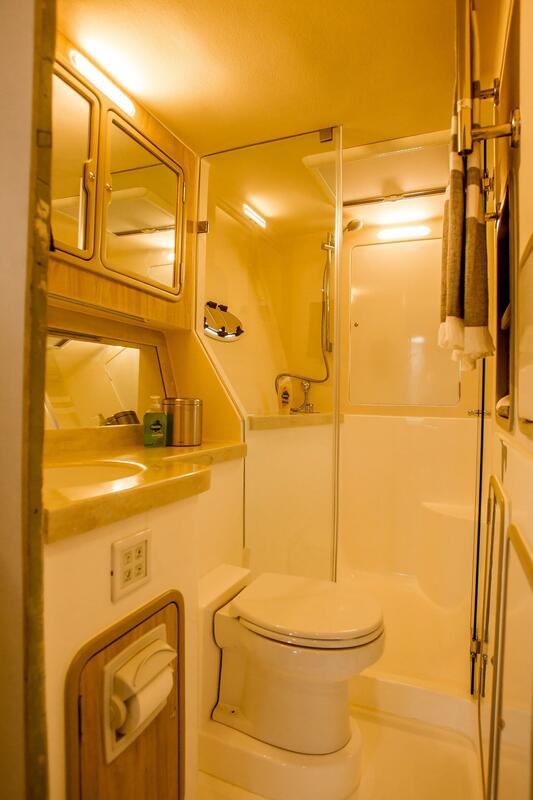 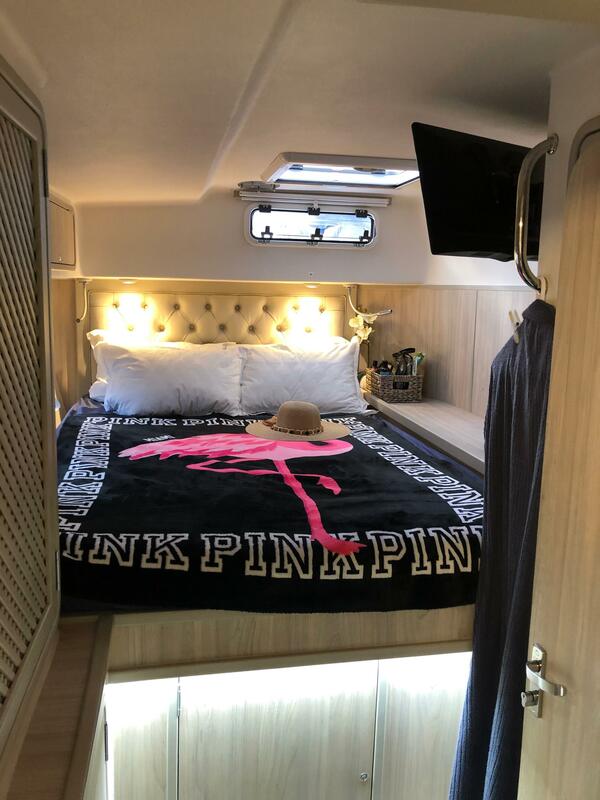 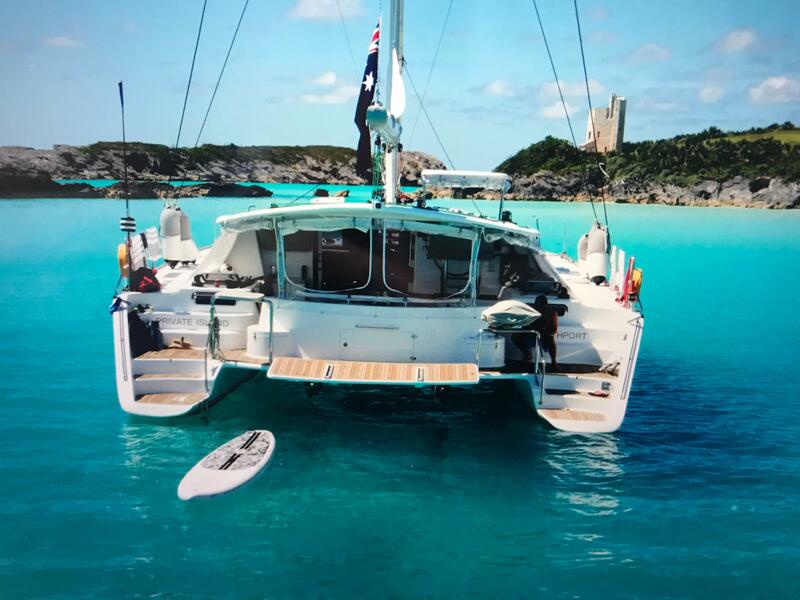 Private Island is a better than new blue voyaging catamaran, as she has been debugged and perfected on her crossing from South Africa to the United States. 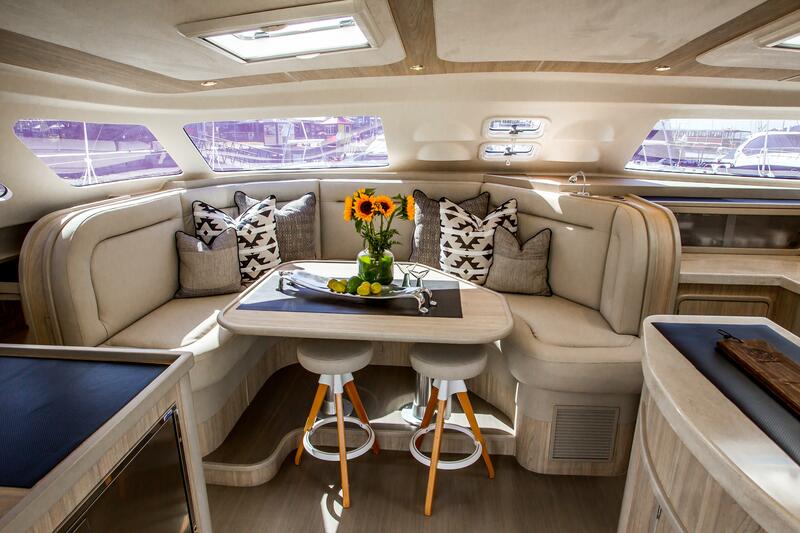 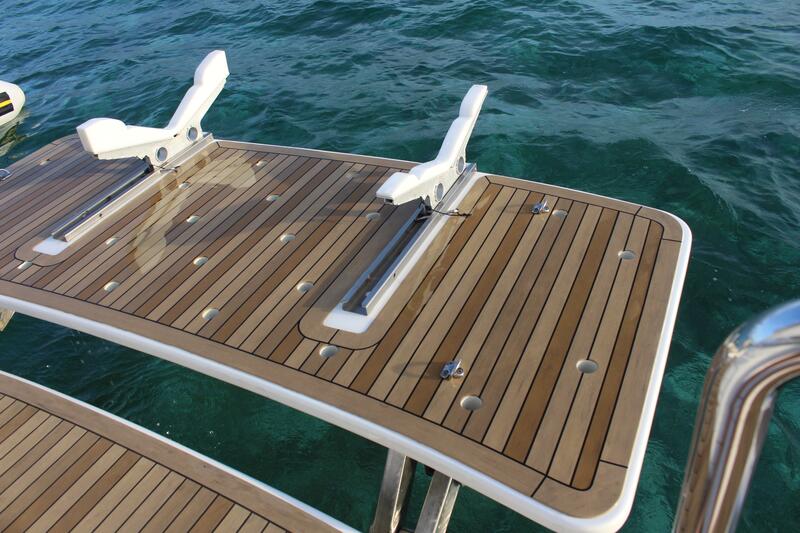 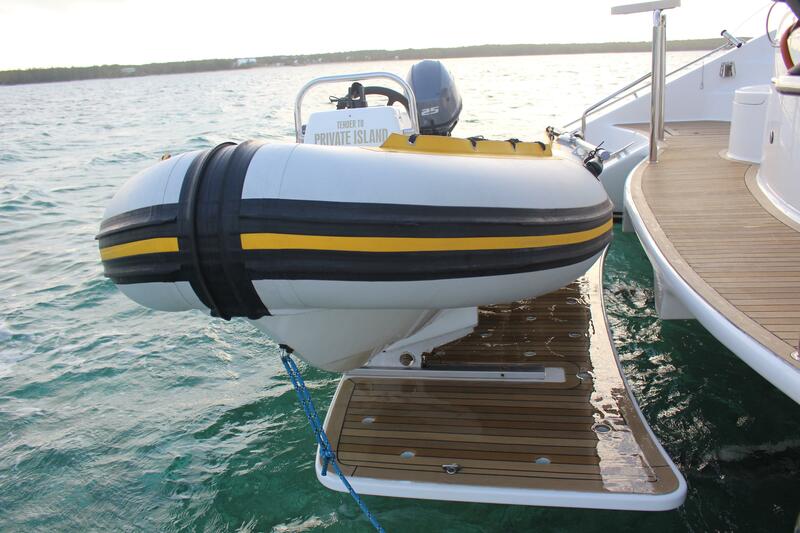 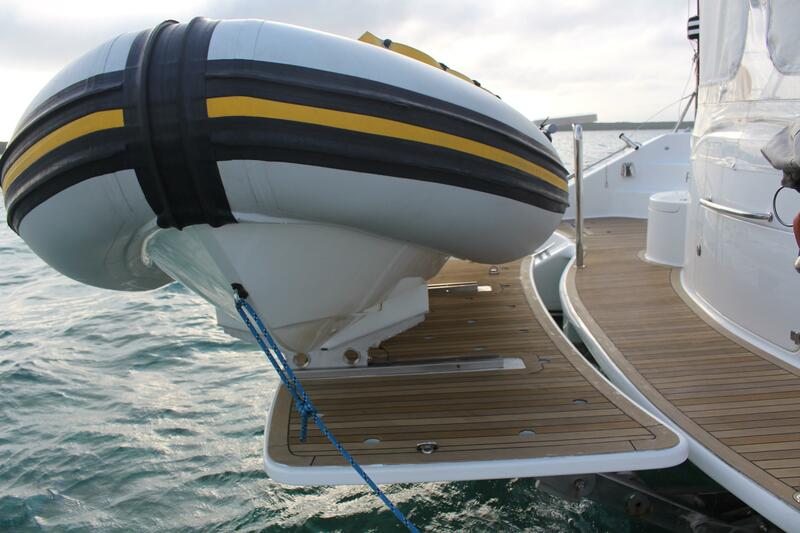 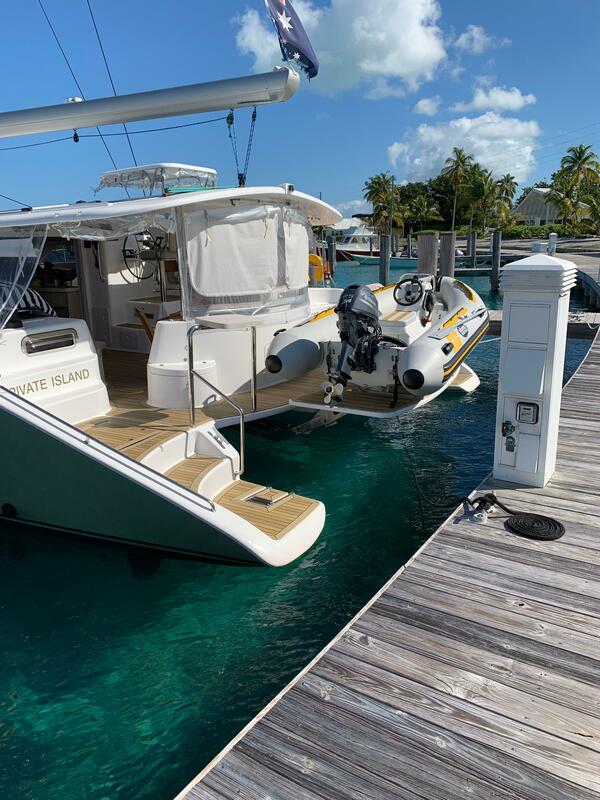 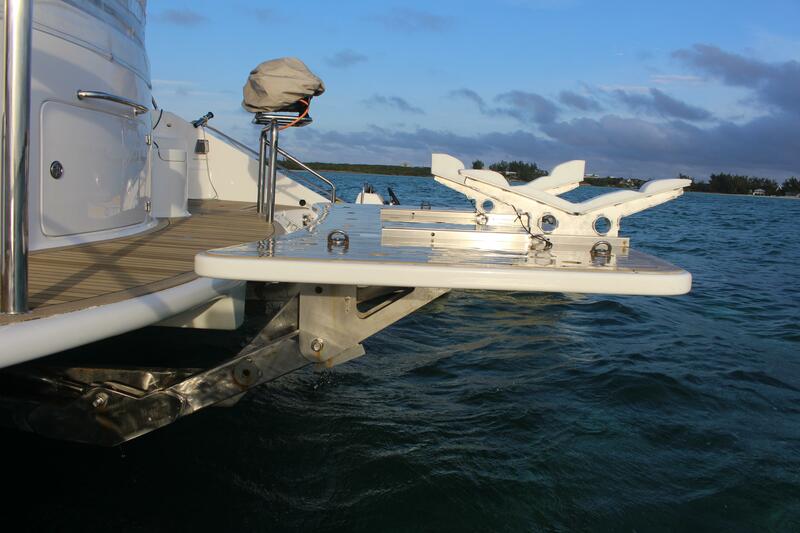 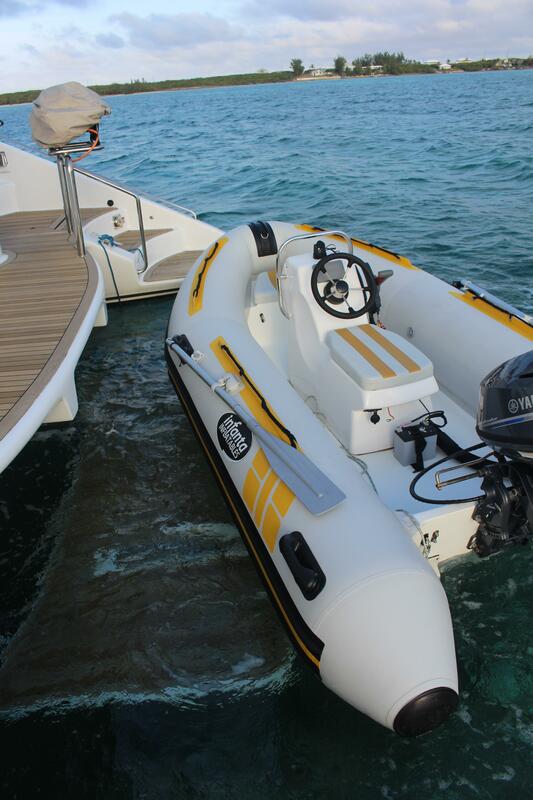 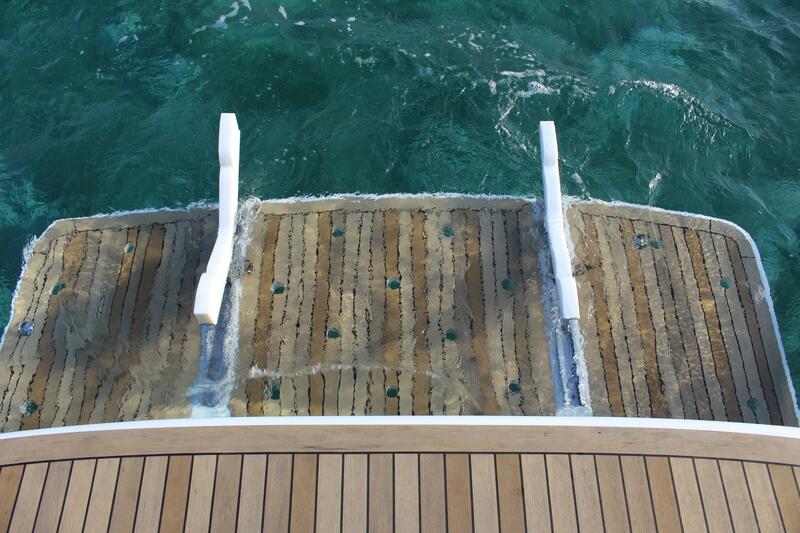 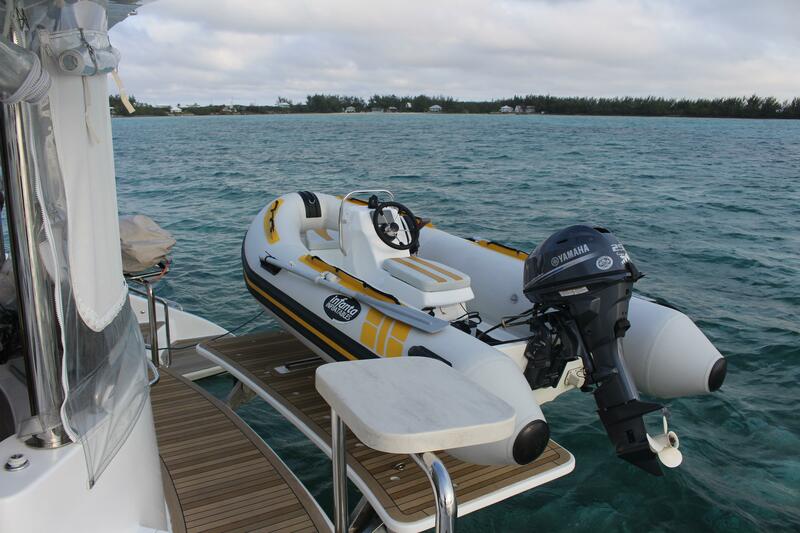 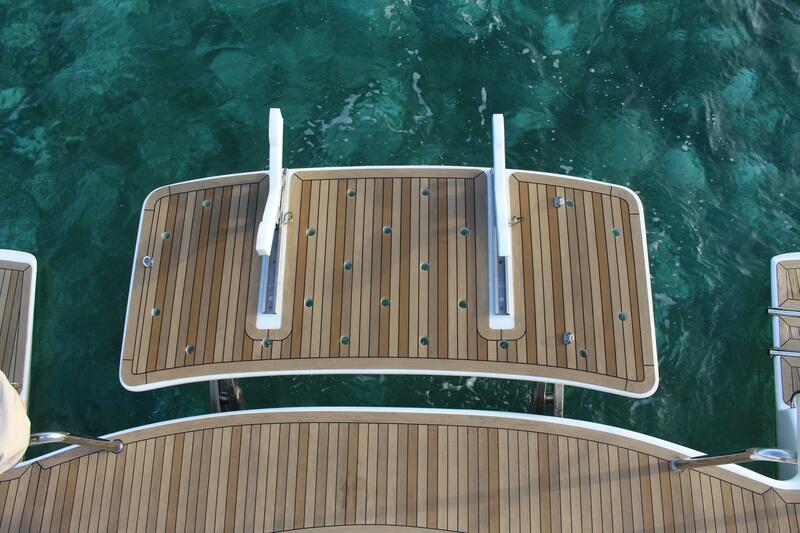 She is loaded to the max with everything you could want on a blue water voyager. 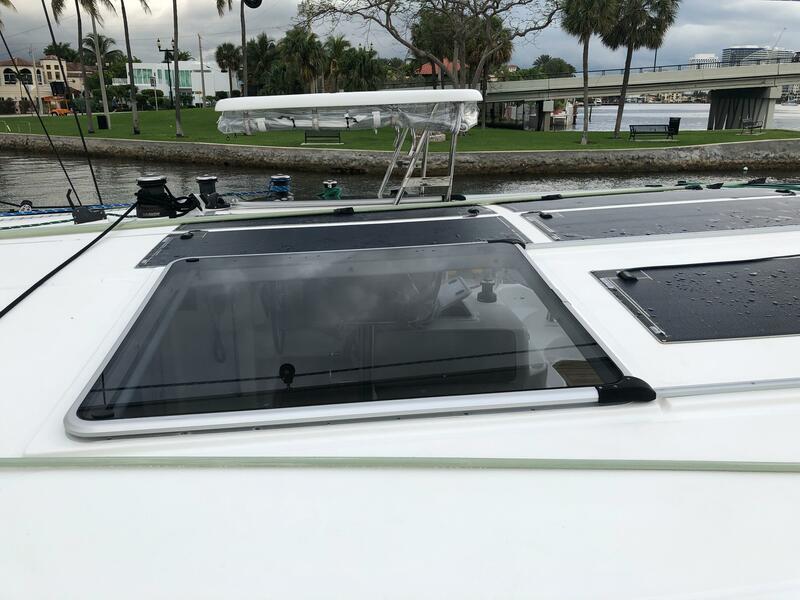 You could order a new one, of course, and wait a year or two for her, and pay at least $200,000 more, plus delivery, plus construction financing, etc. 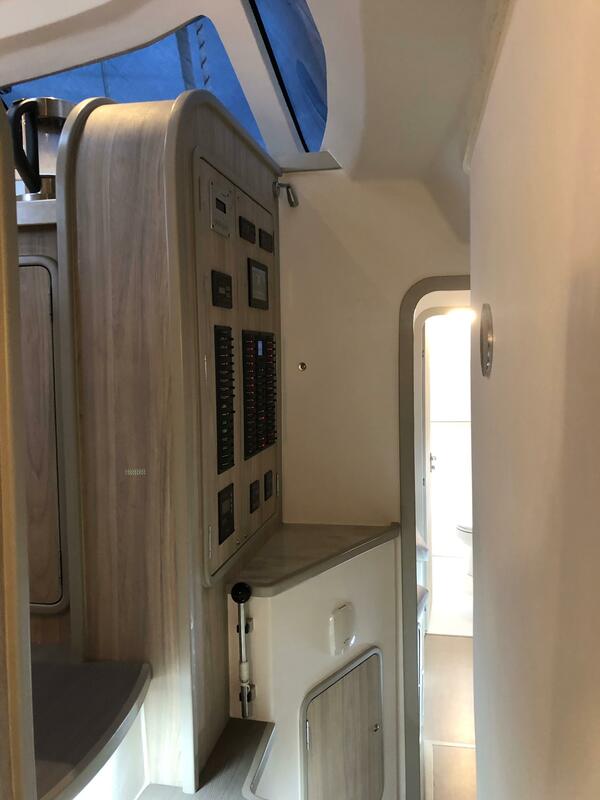 People always ask, why is he selling so soon? 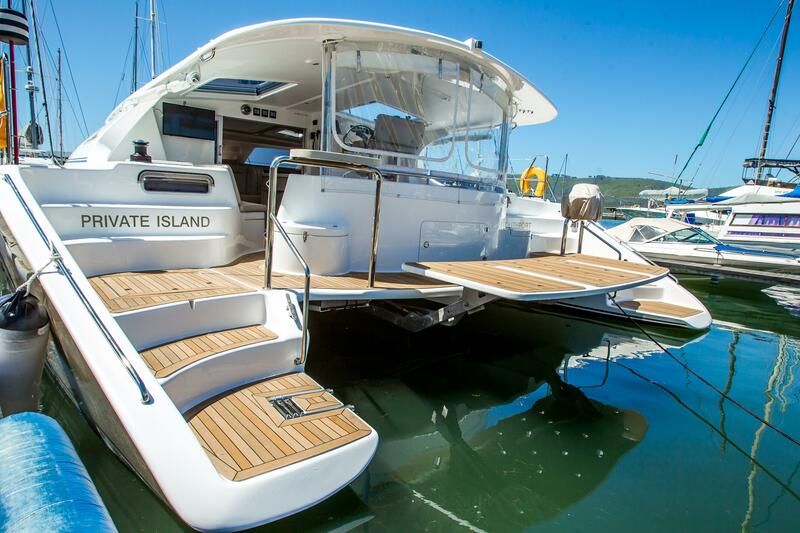 The reason is that he loved his boat so much he decided to order the new Knysna 55. 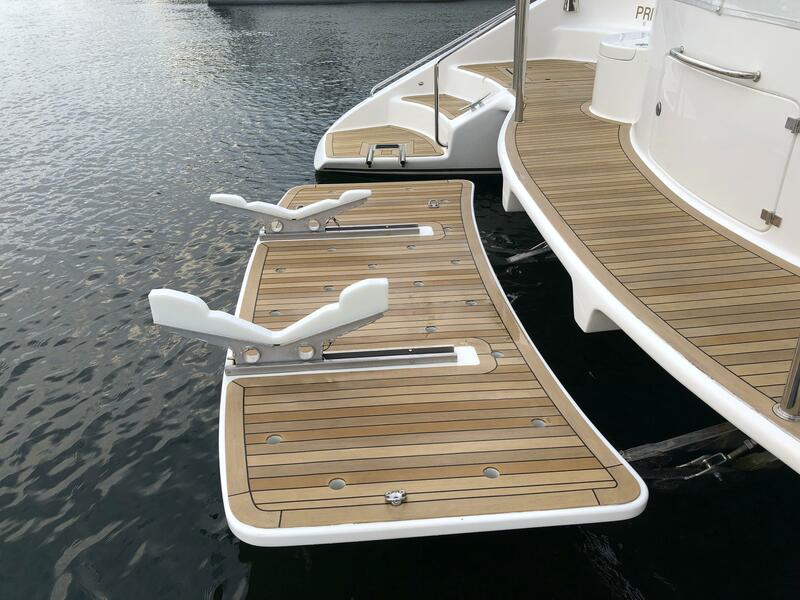 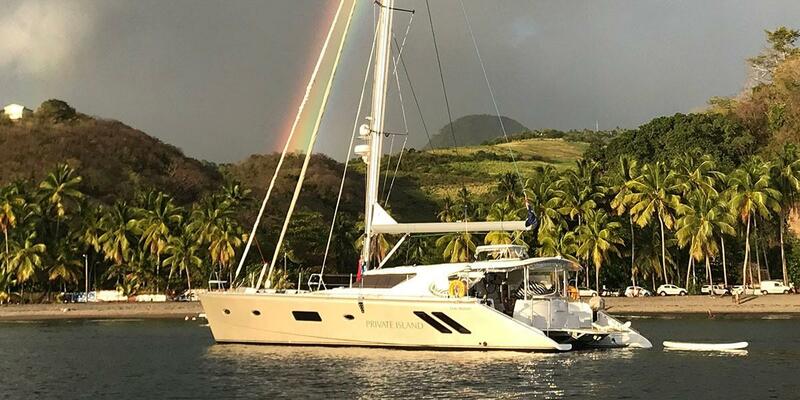 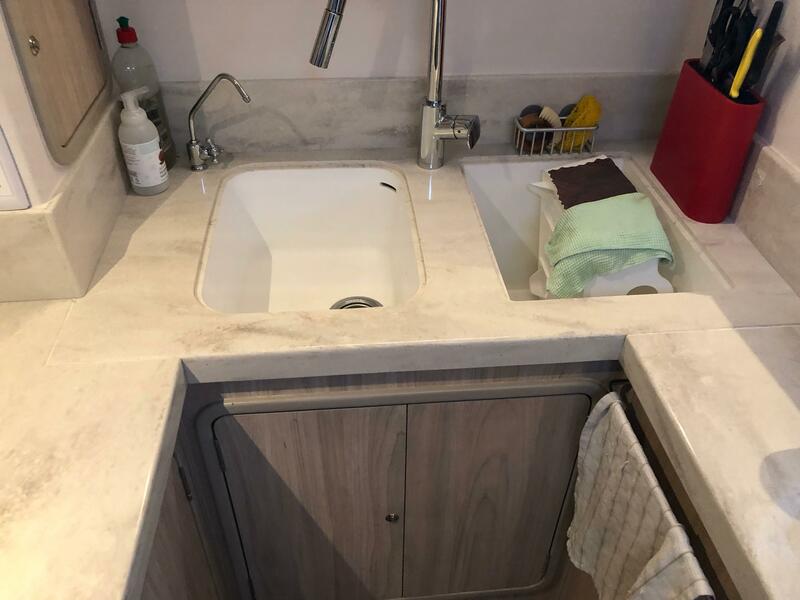 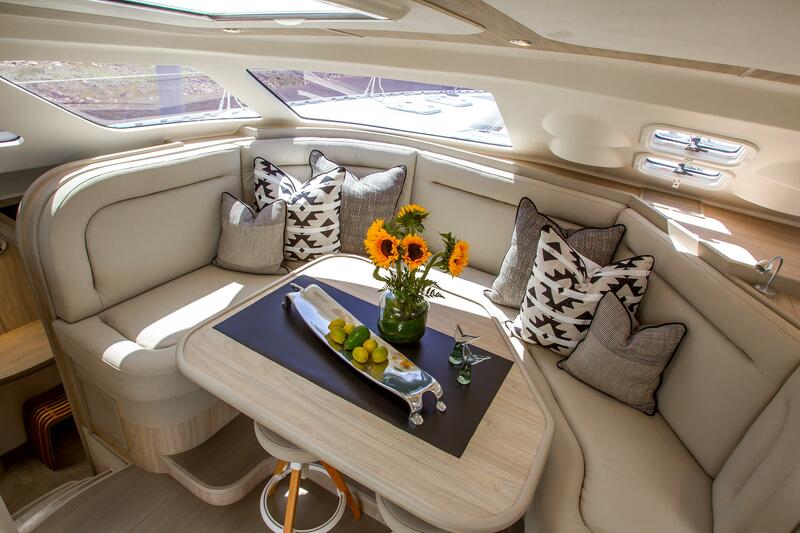 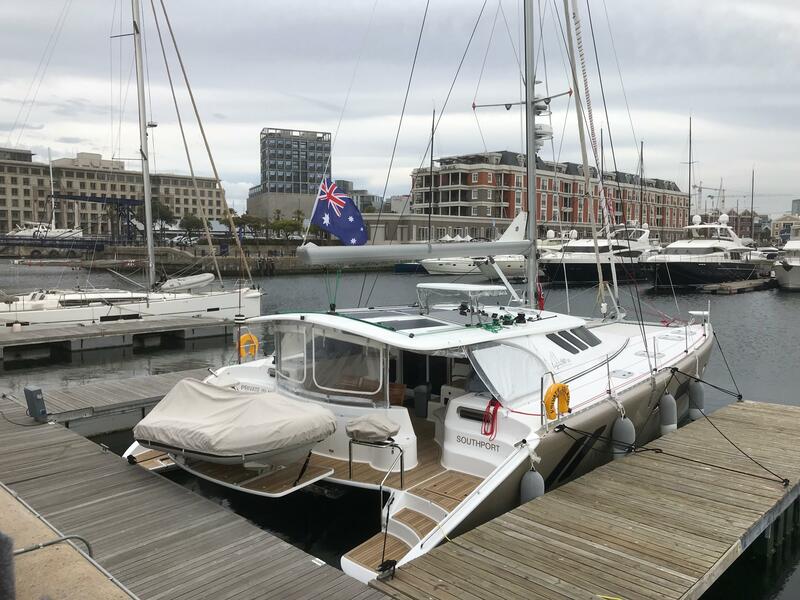 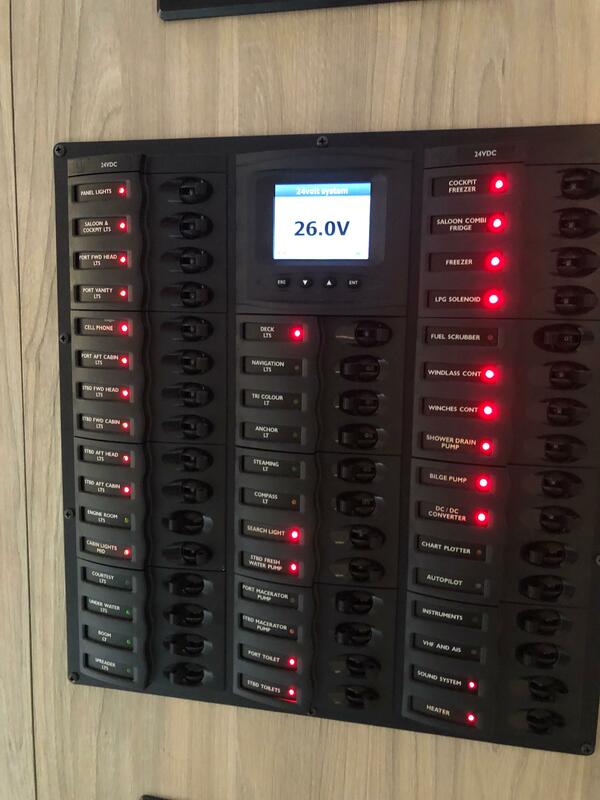 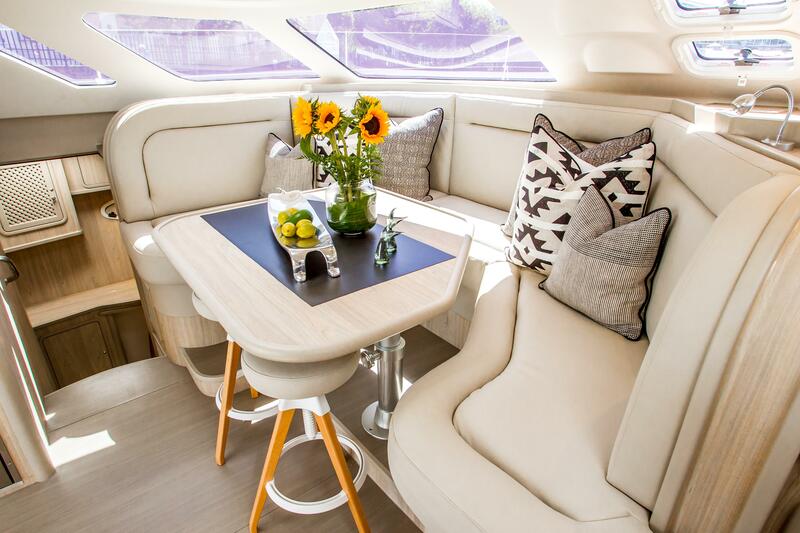 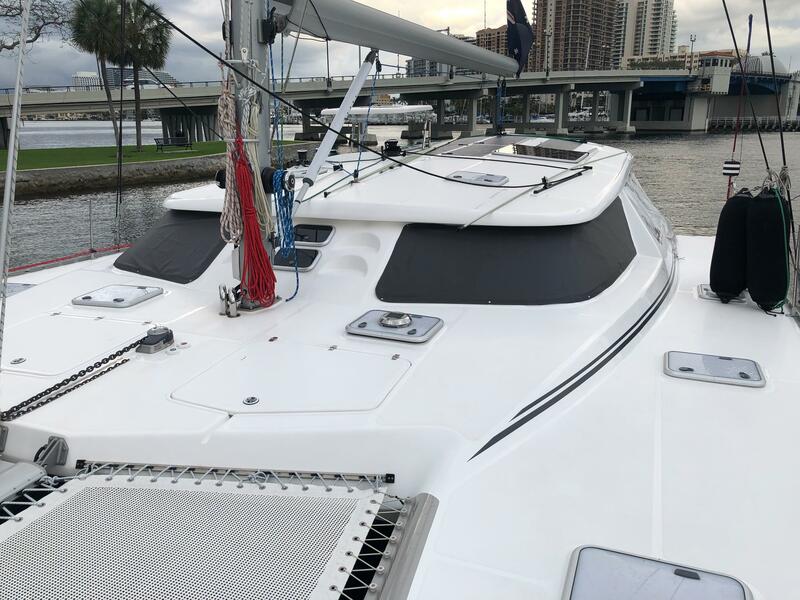 We've sold many of these in brokerage here at TMC, as we are familiar with the company, and the South African build team, since we build our Balance Catamarans in nearby St. Francis. 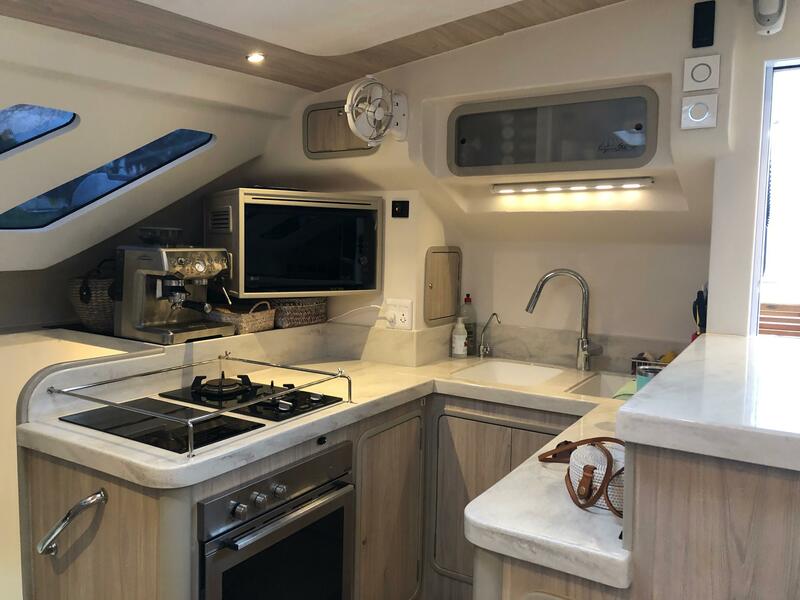 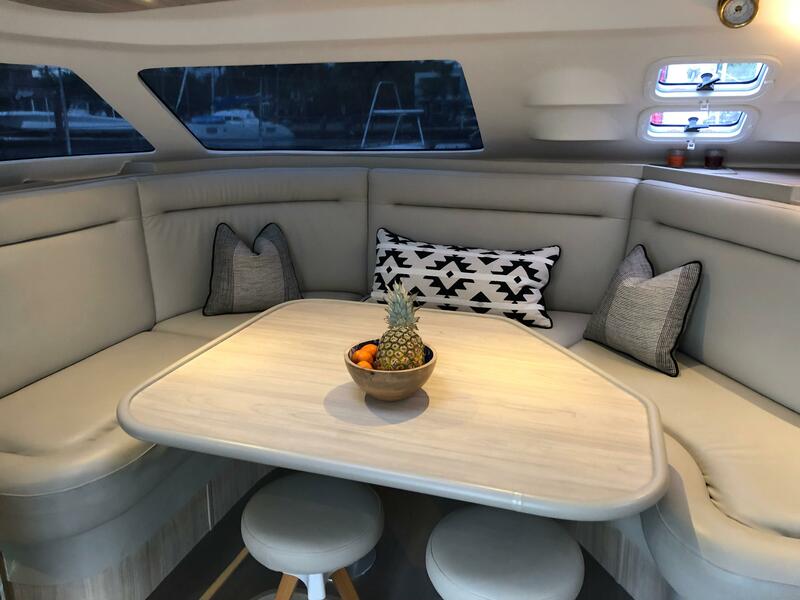 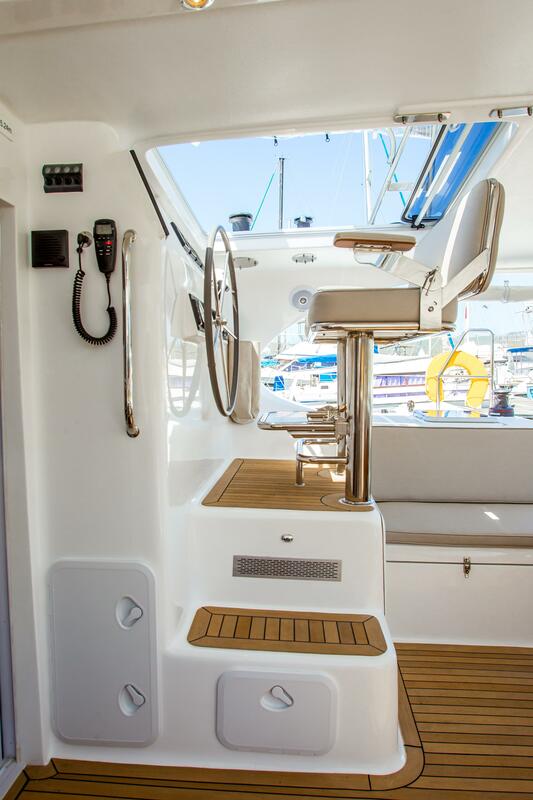 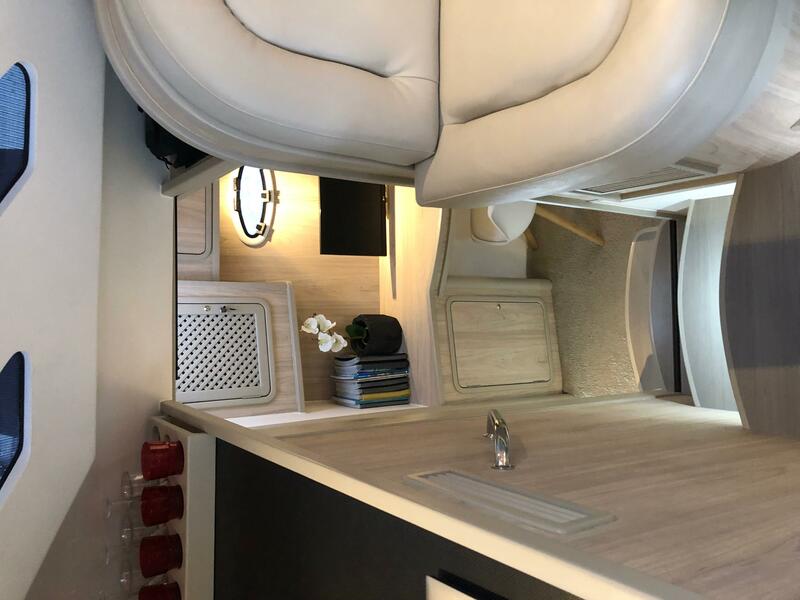 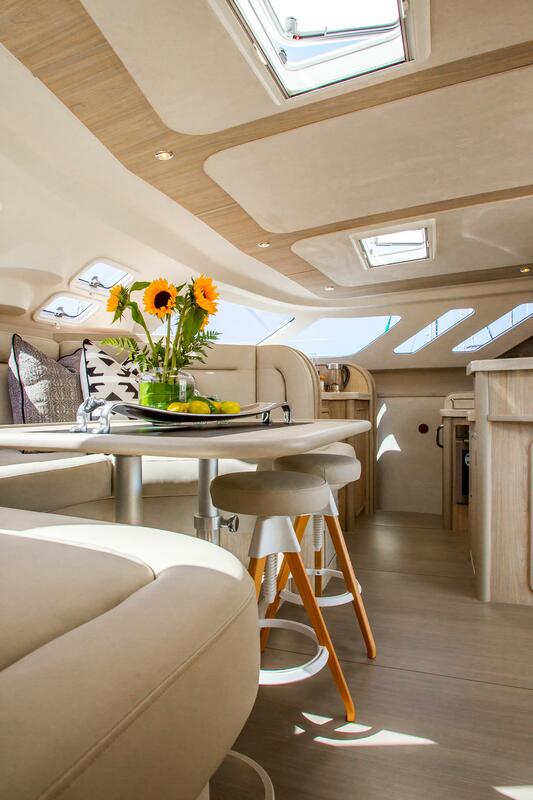 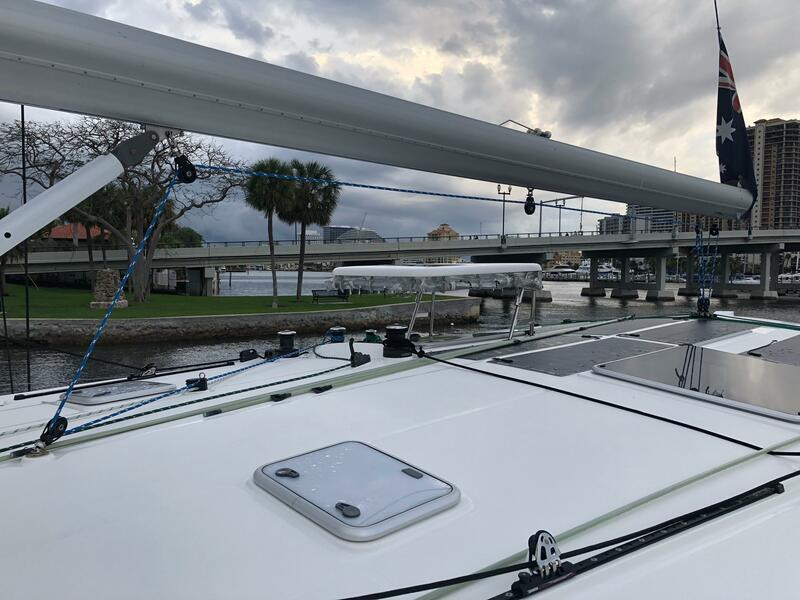 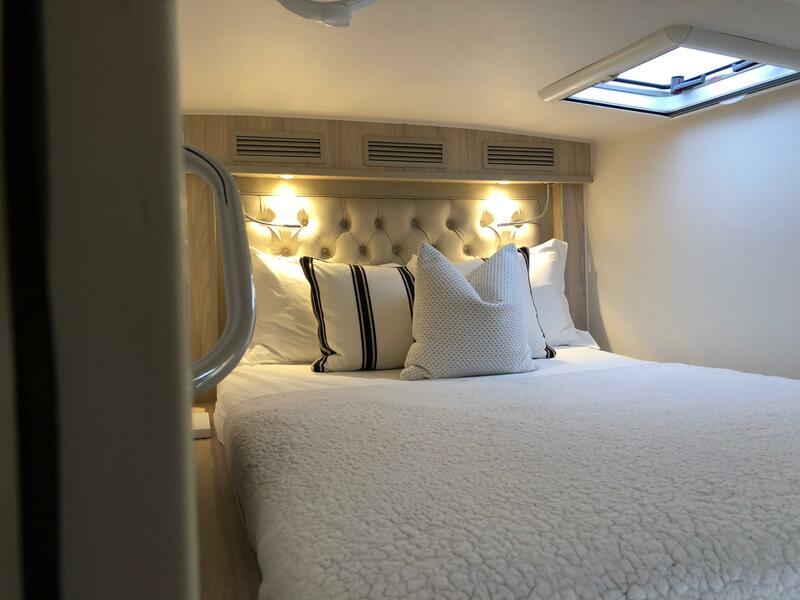 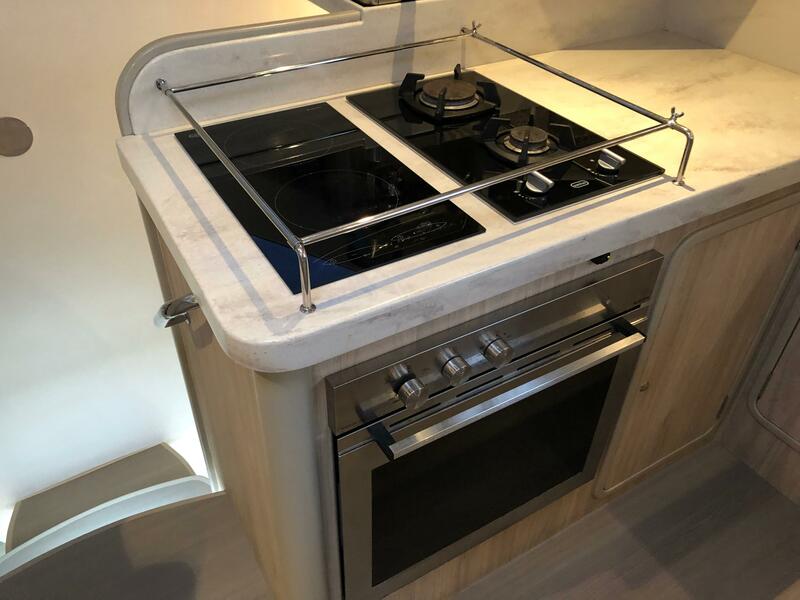 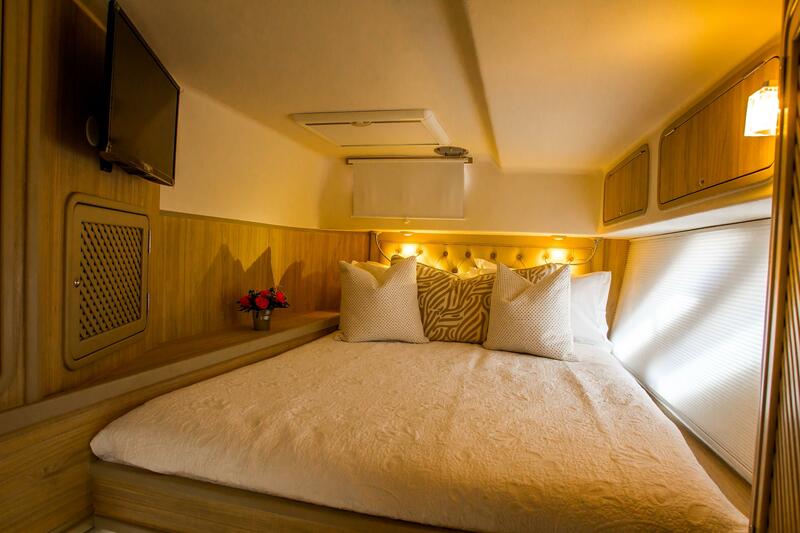 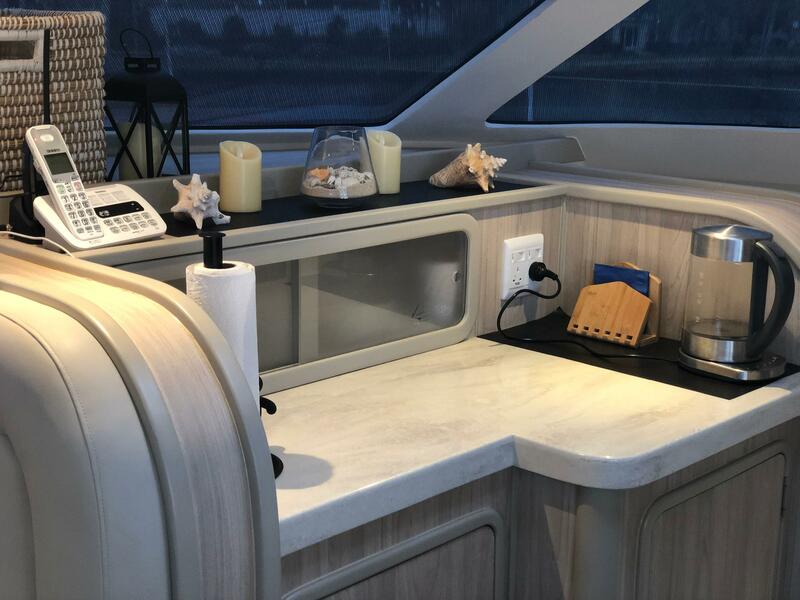 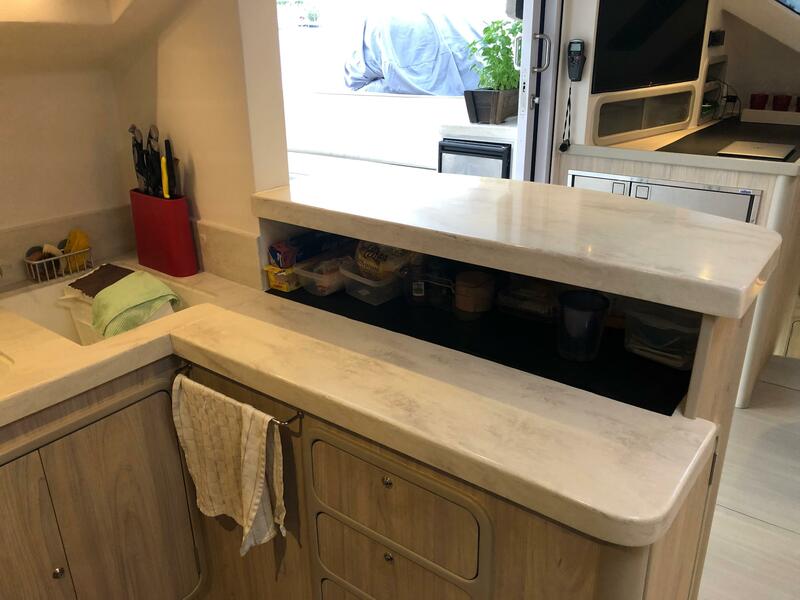 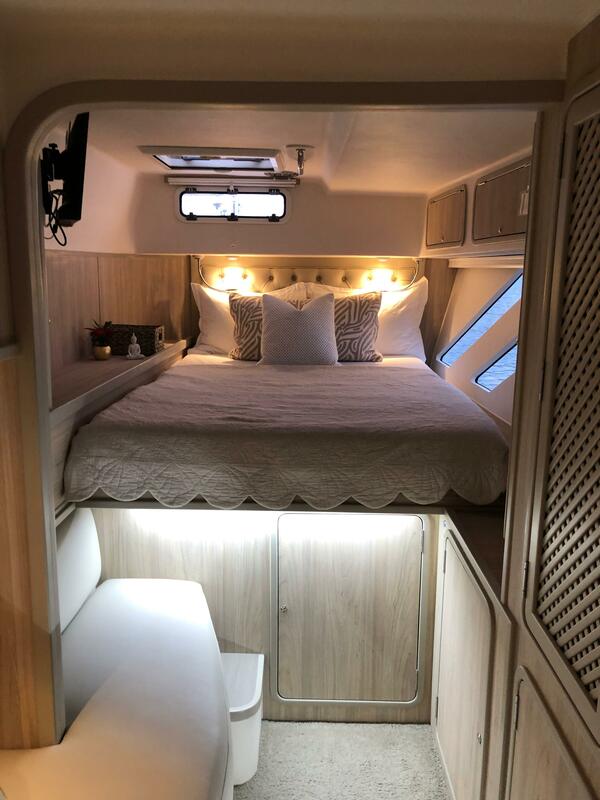 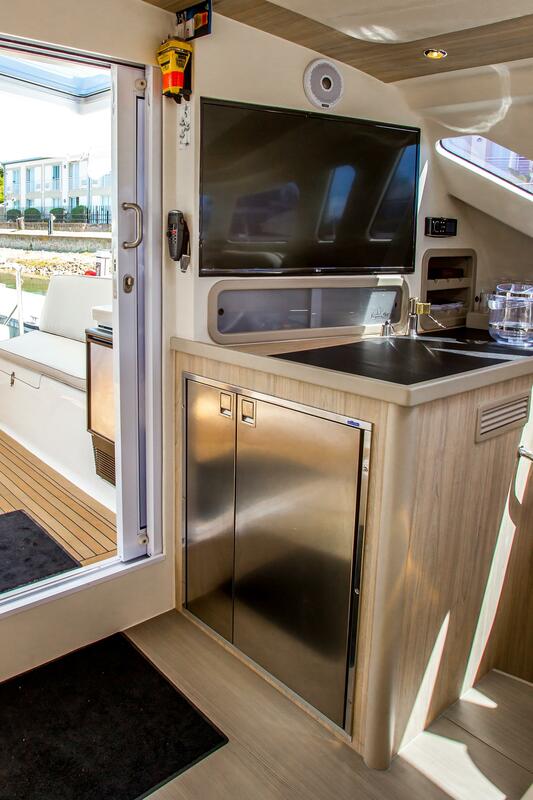 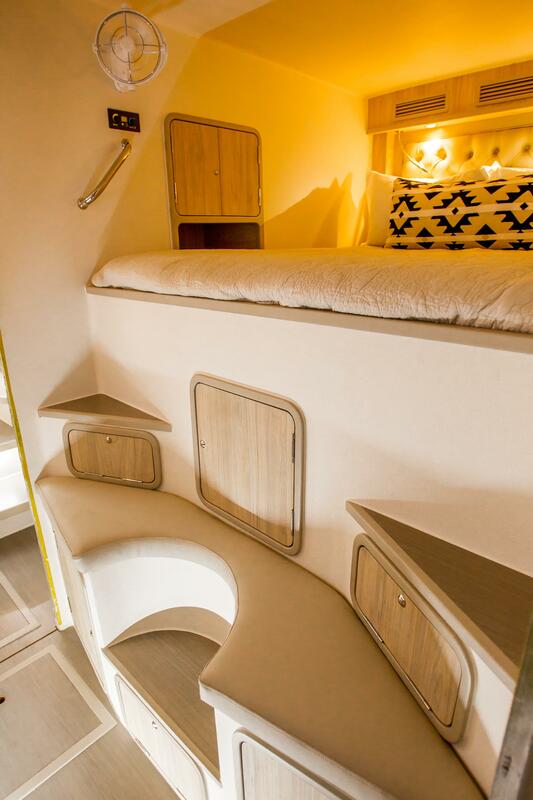 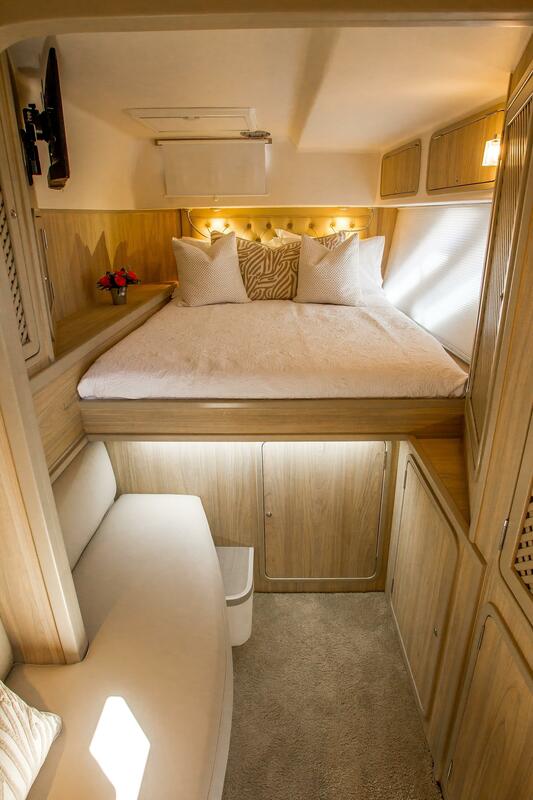 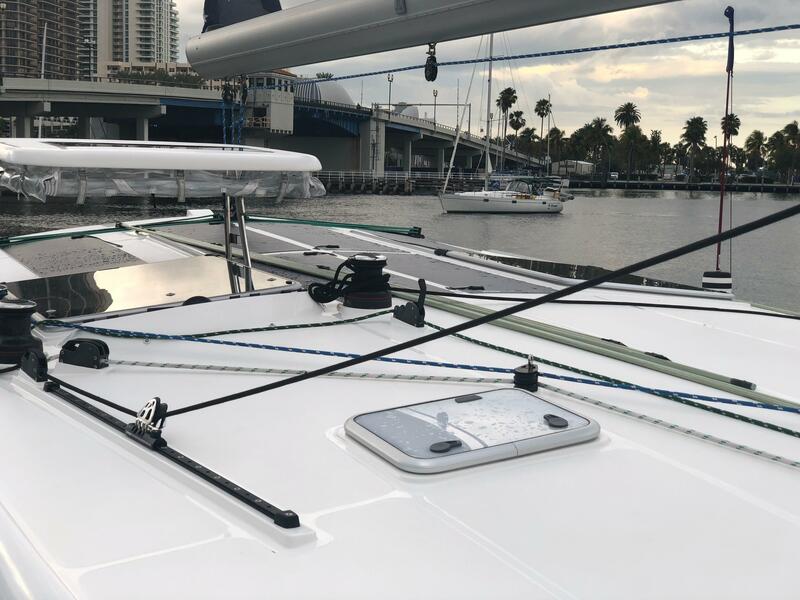 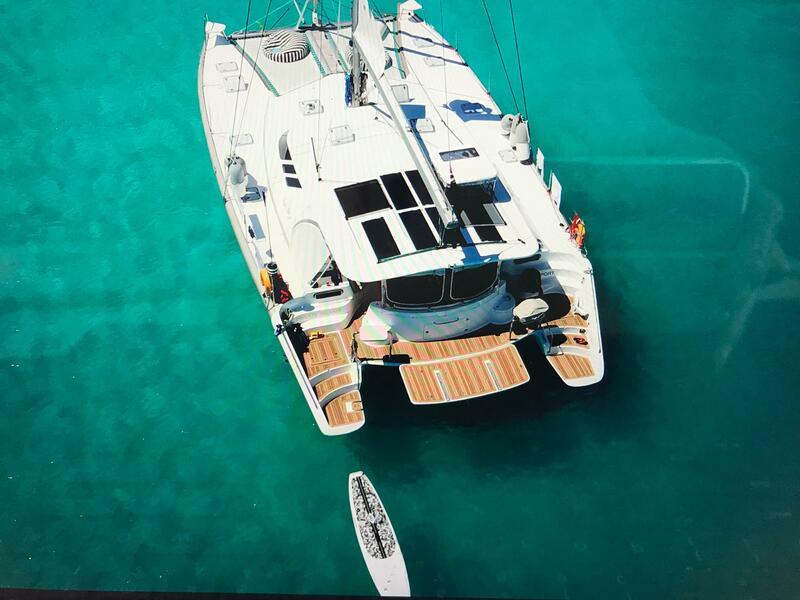 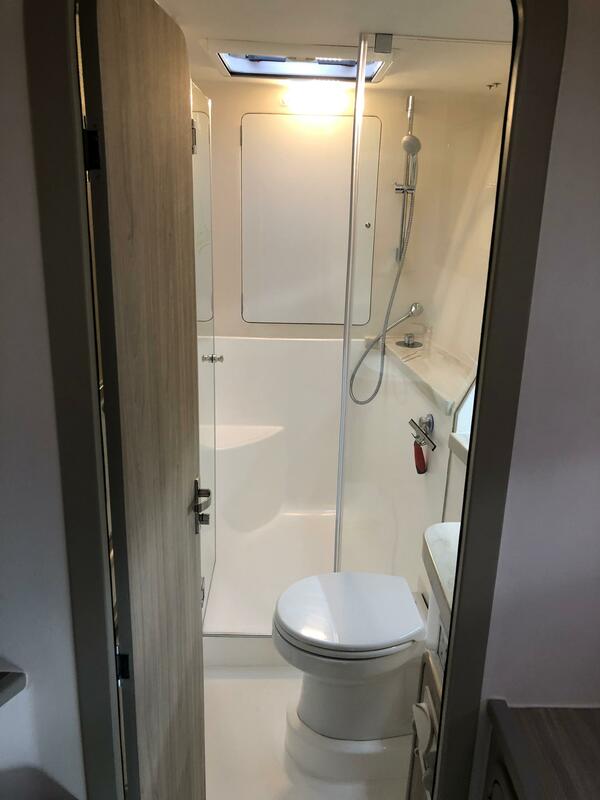 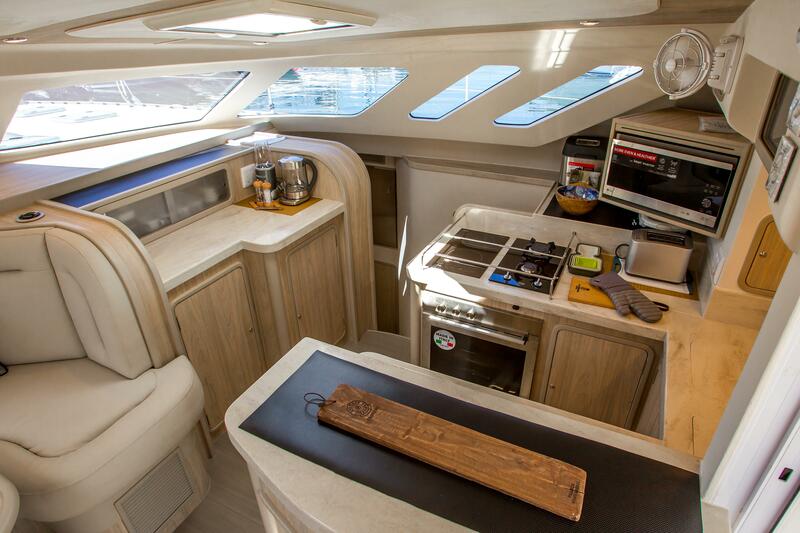 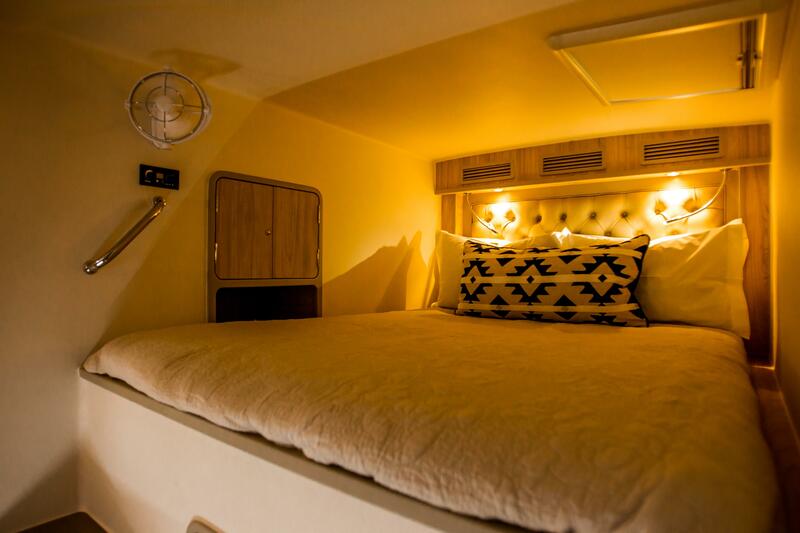 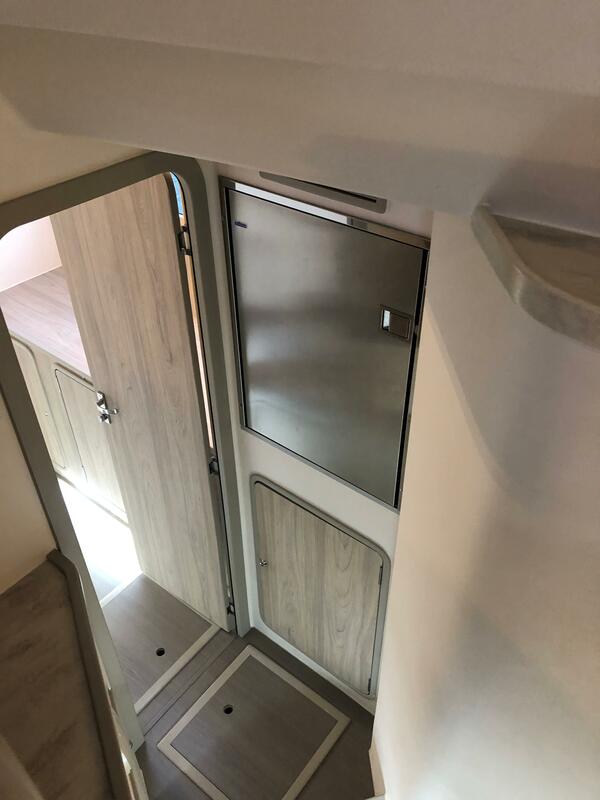 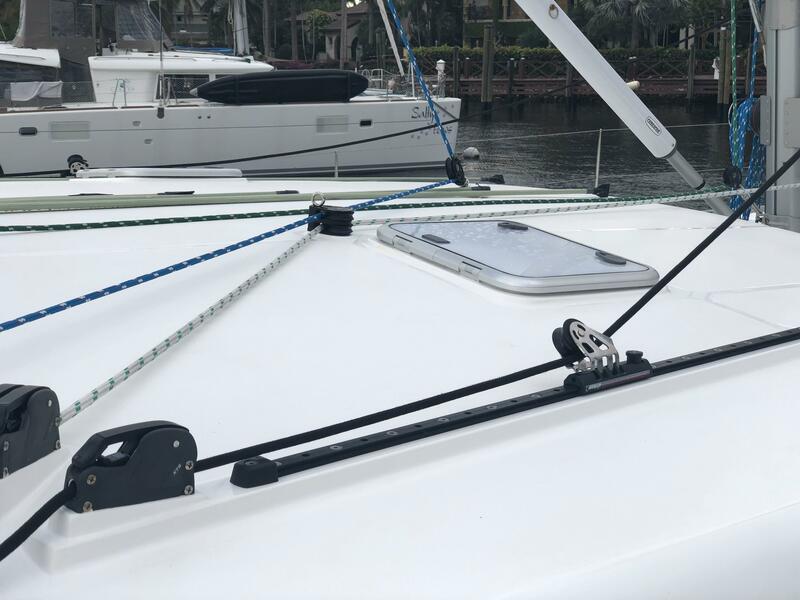 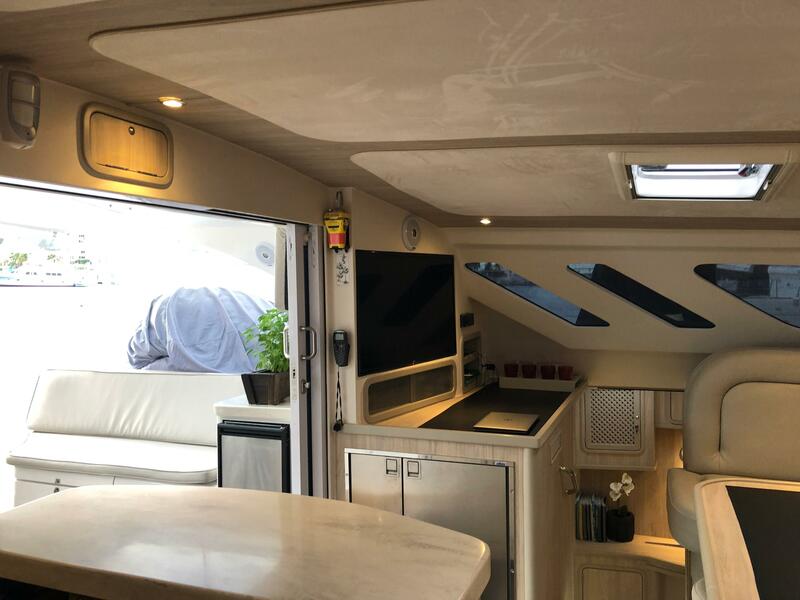 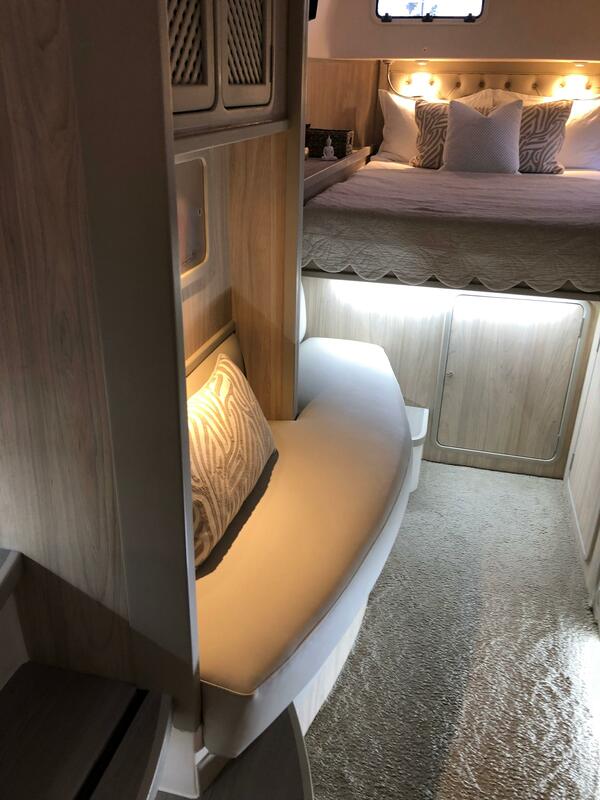 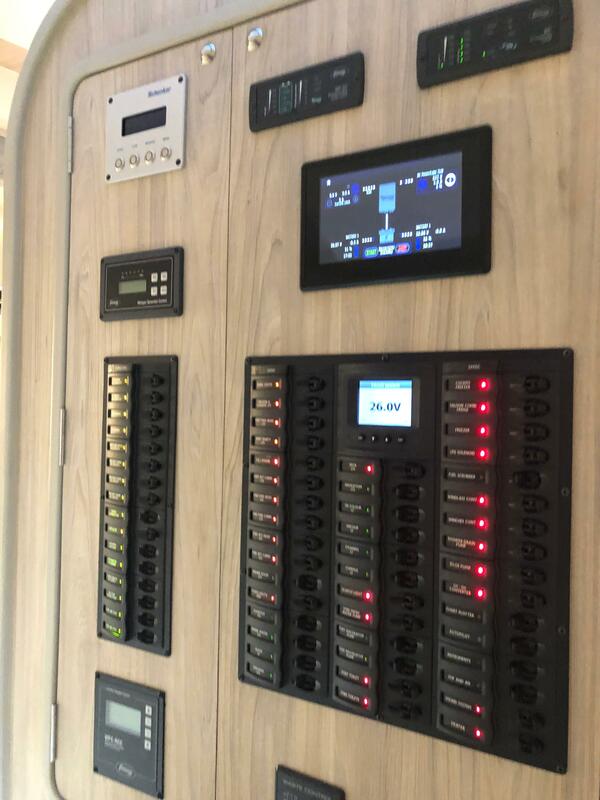 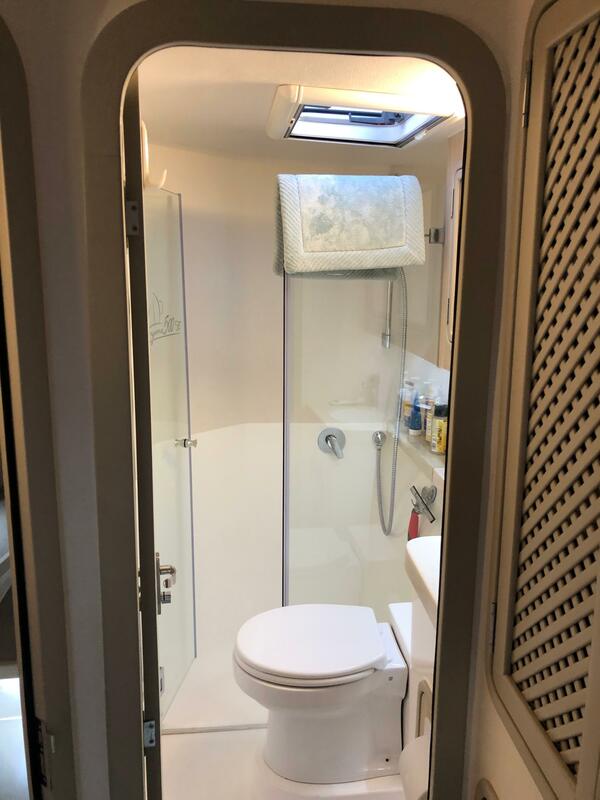 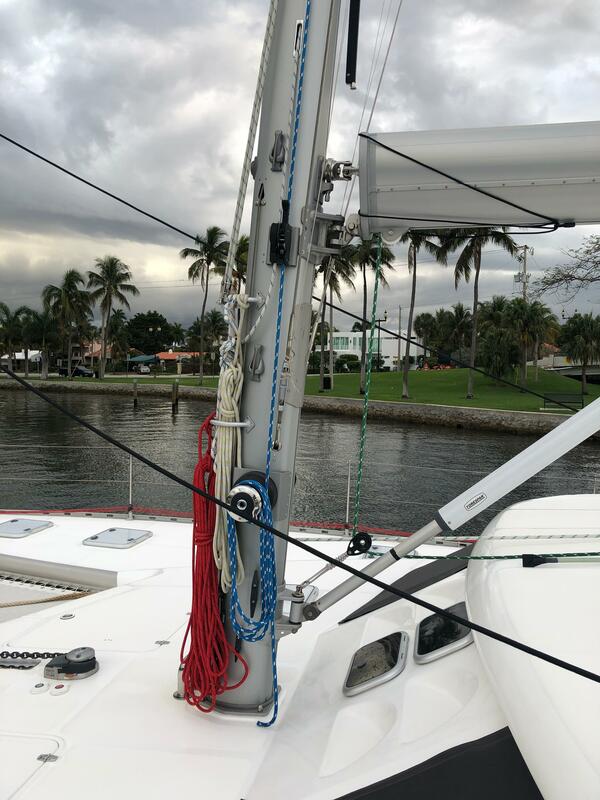 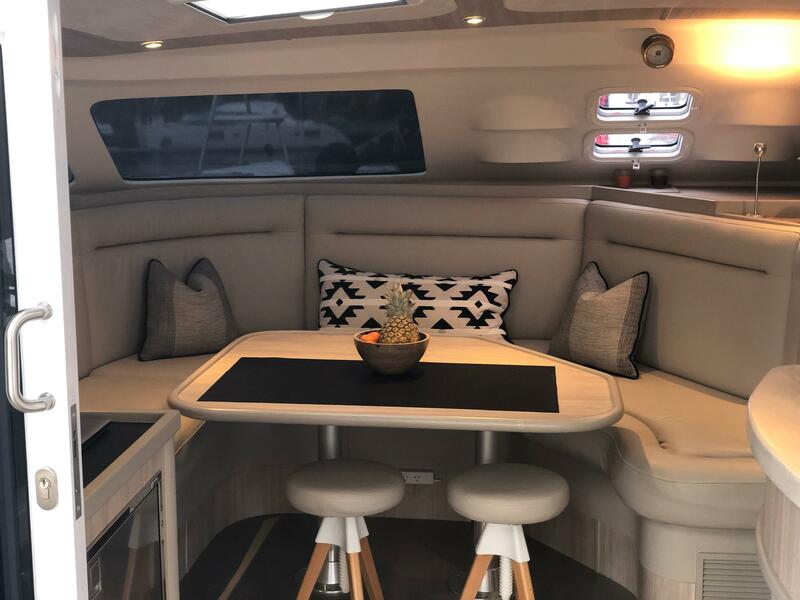 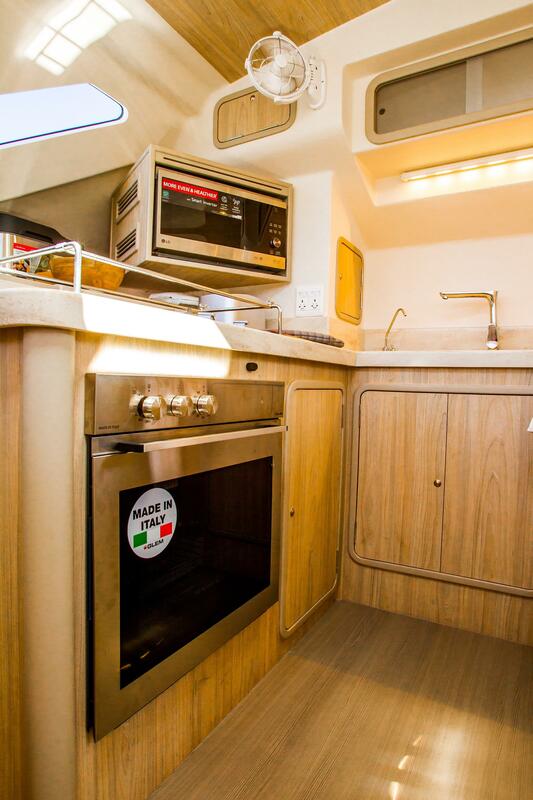 We've always felt that the Knysna 500 represented a nice option for the sailor who does not want a charter box, but is also not looking for a speedster - just a nicely performing blue water tough catamaran for voyaging that offered nice cabinets and finish and stout build. 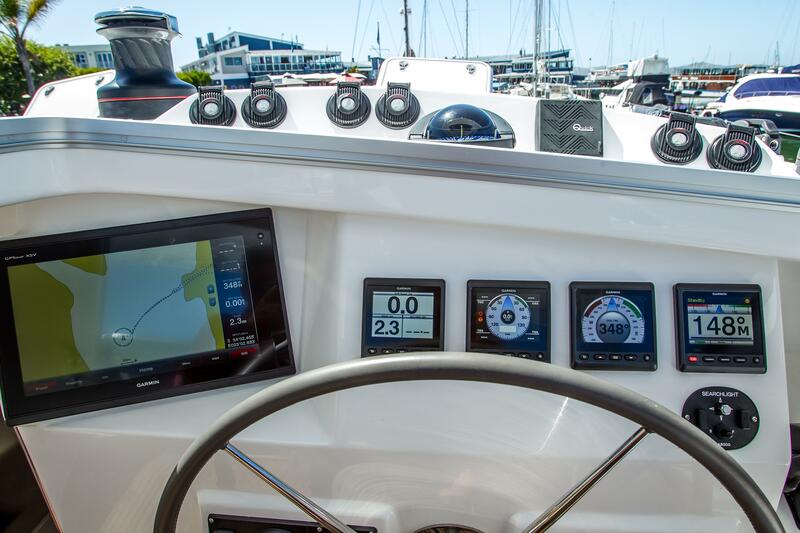 She will easily pull speeds in the low teens and sail 20% faster than most production cats. 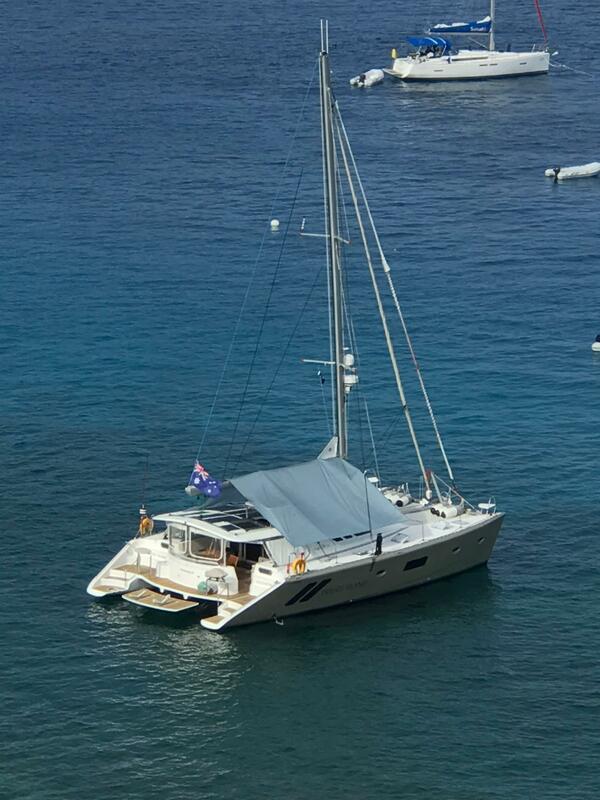 As anyone today looking at the catamaran market can see, the options for something "down the middle" are hard to find these days. 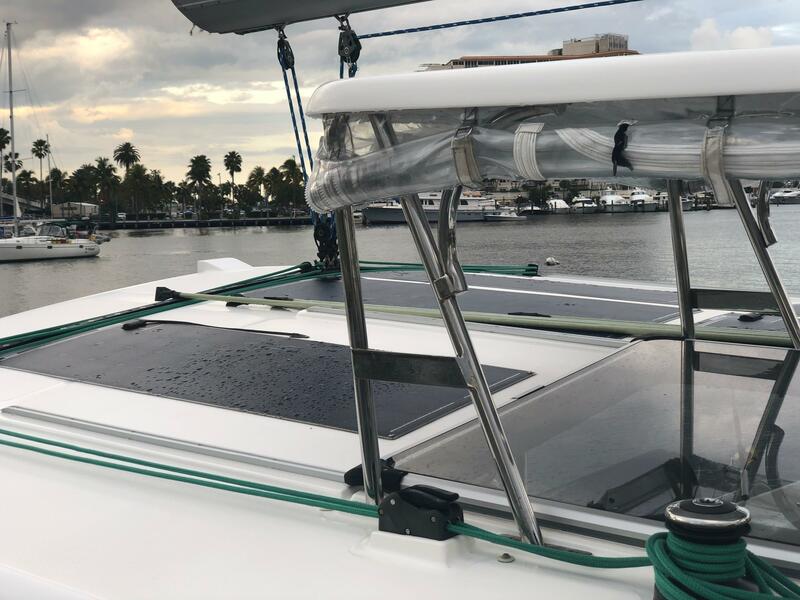 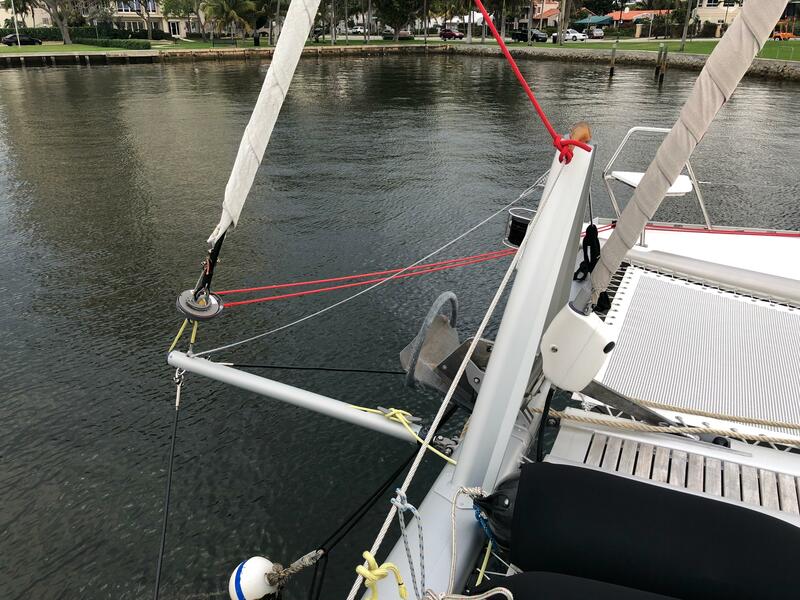 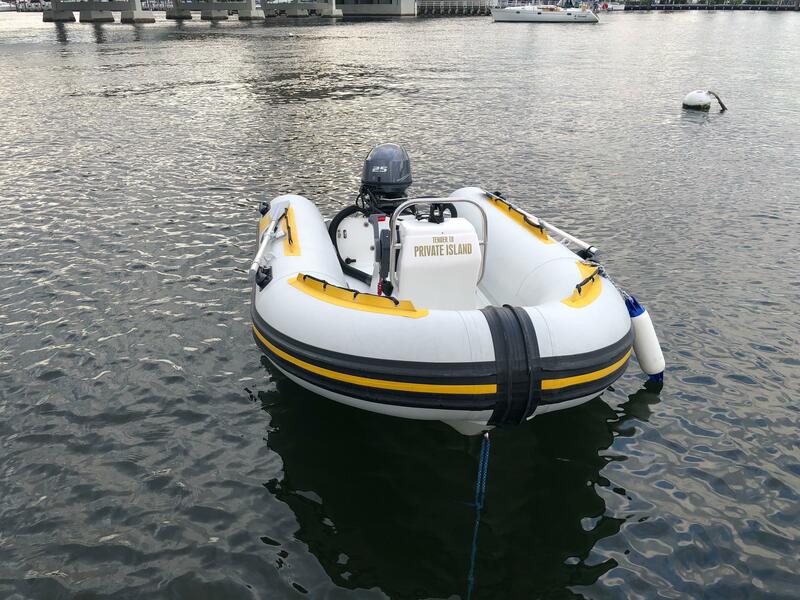 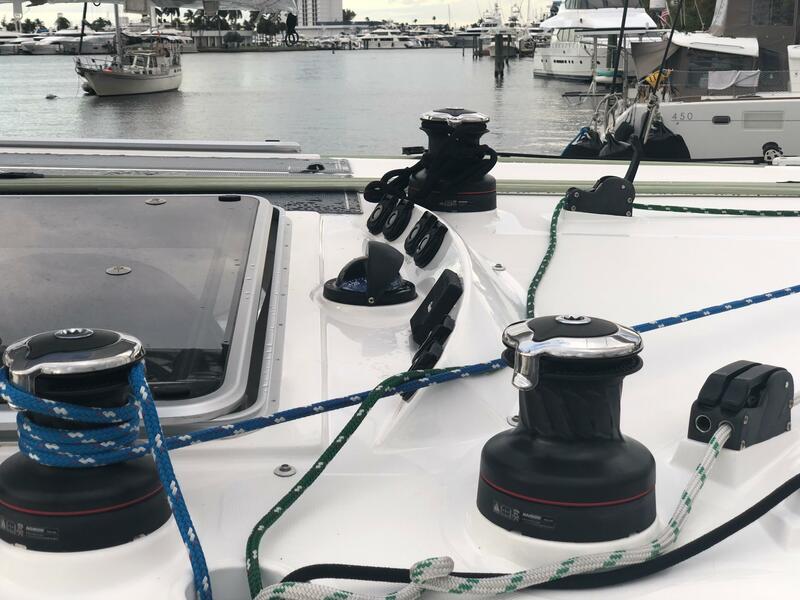 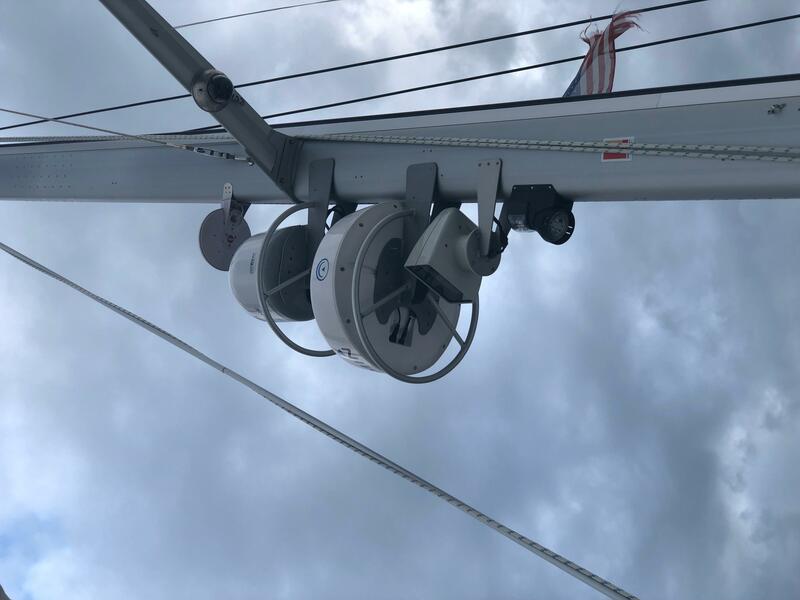 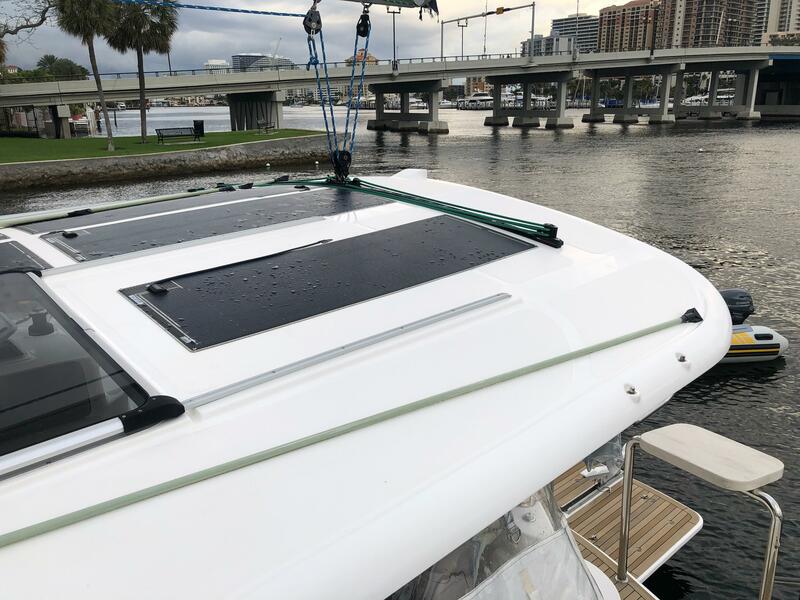 The production companies are designing their boats to sail out of charter bases in high wind areas, not for the specific intent of blue water passage-making. 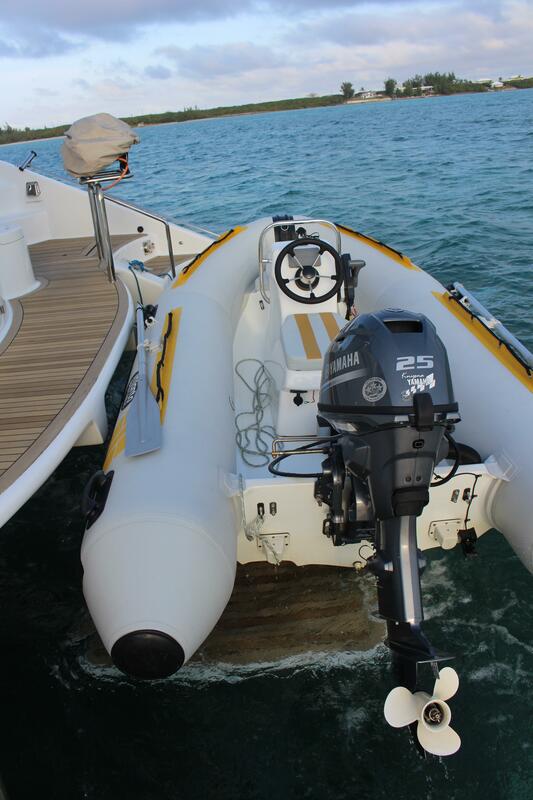 The Knysna 500 was designed for just that purpose and represents good value for those seeking such a cat. 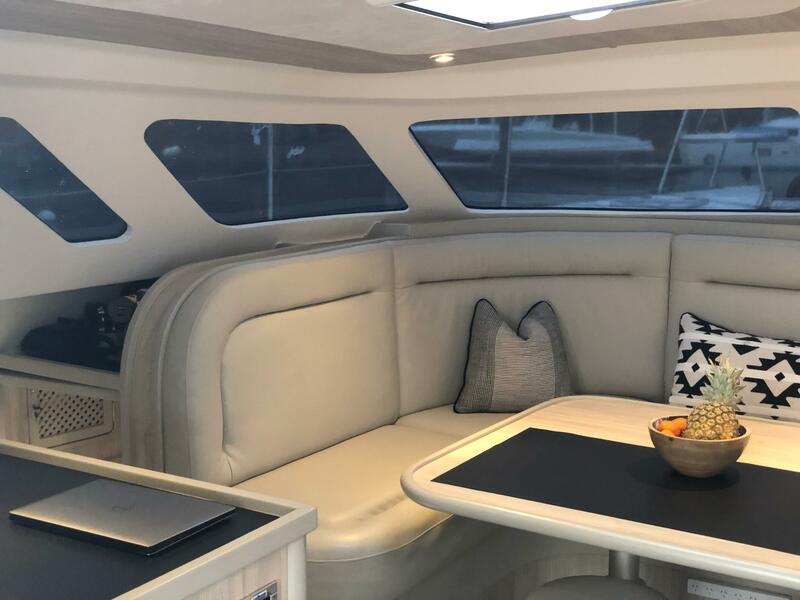 Private Island is currently in Fort Lauderdale and is now US DUTY PAID and is available to be seen during the Miami Boat show with appointment. 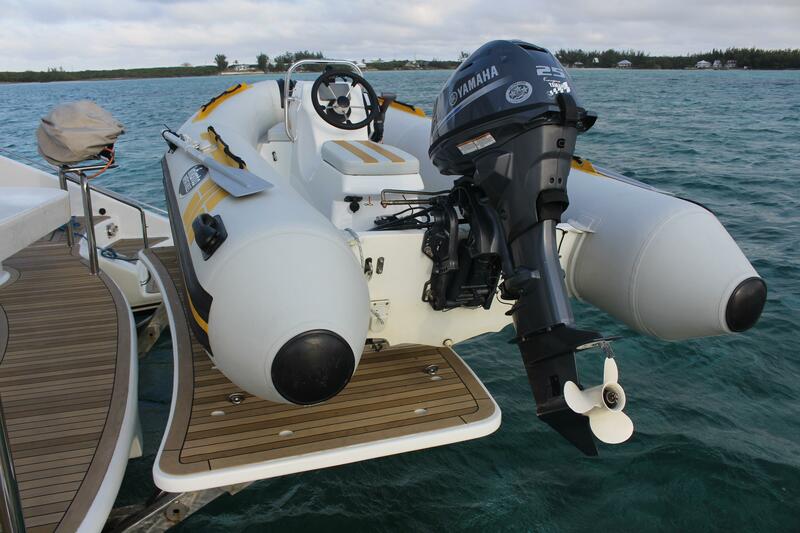 If you ever wanted to get a brand new boat that was loaded and ready to go, here she is. 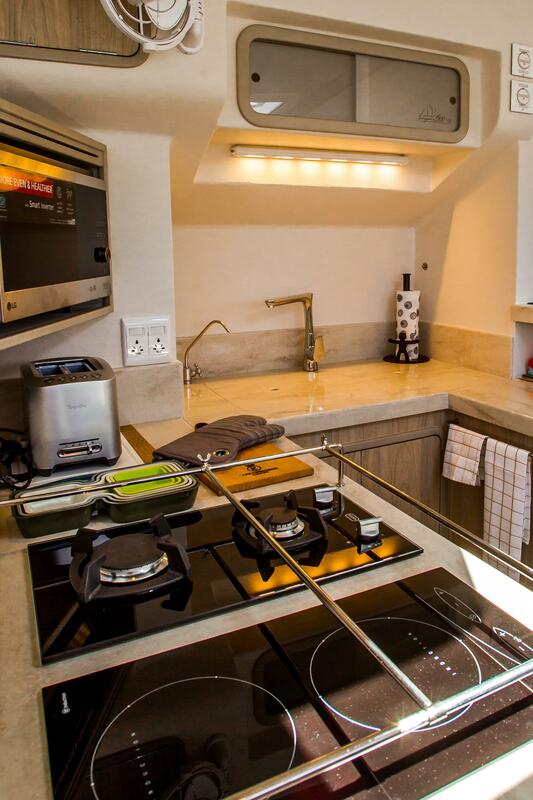 Load up the fridge, set the plotter and go! 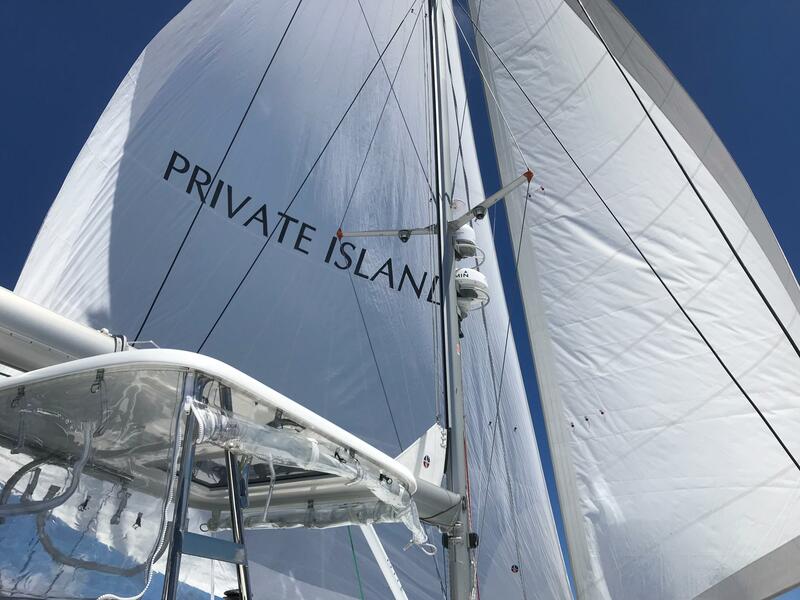 Feel free to call or email with any questions you might have about Private Island.